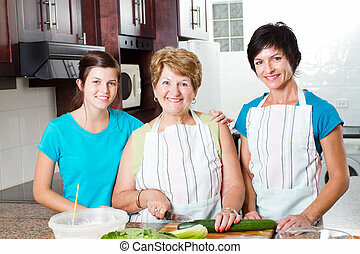 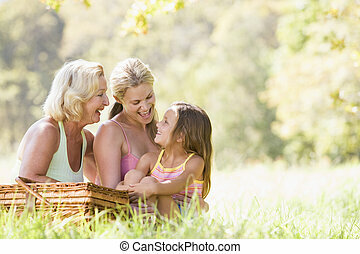 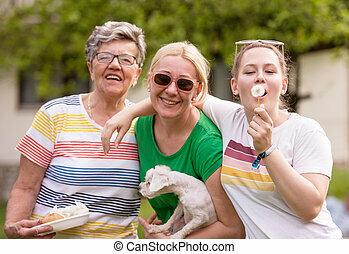 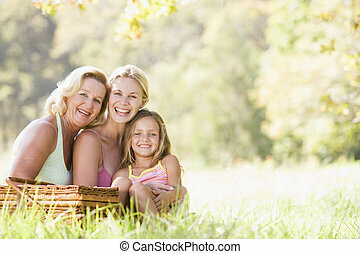 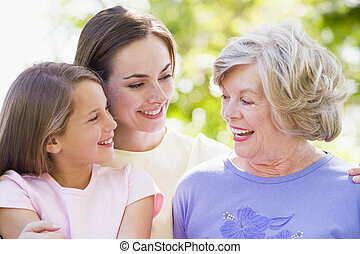 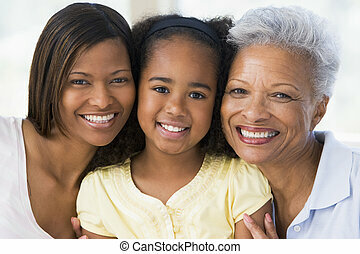 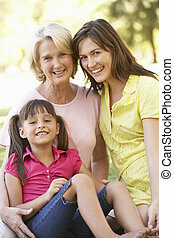 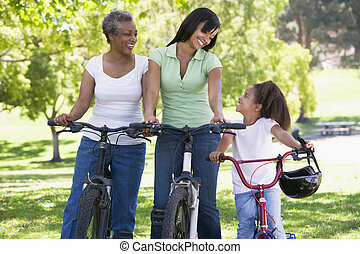 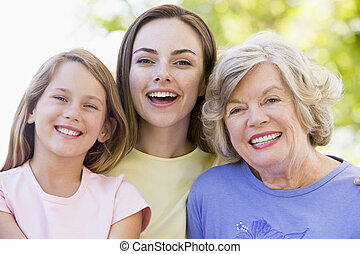 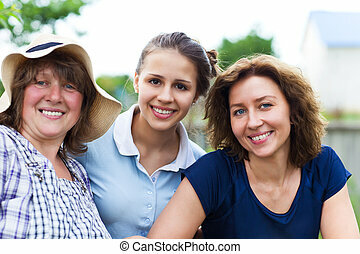 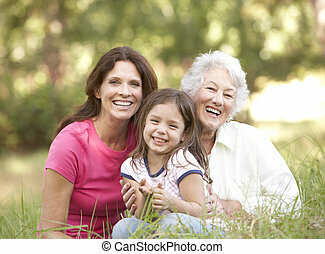 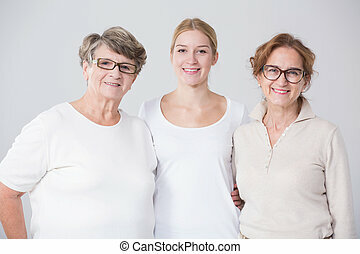 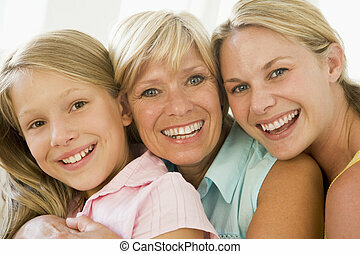 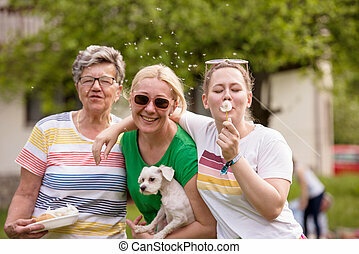 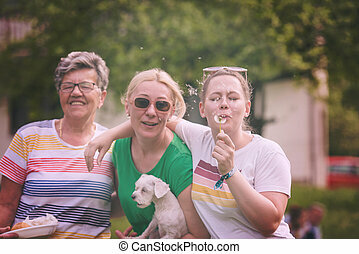 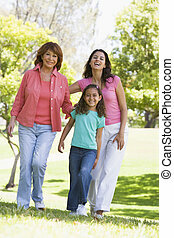 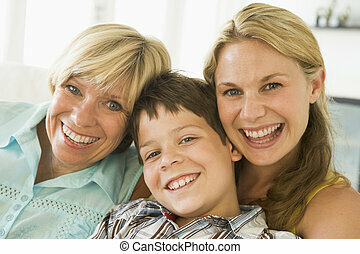 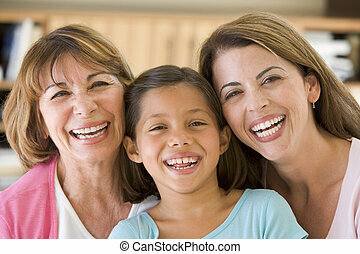 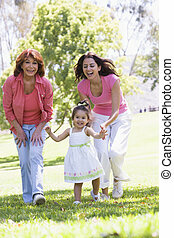 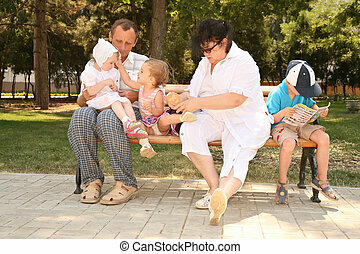 Grandmother with adult daughter and grandchild riding bikes. 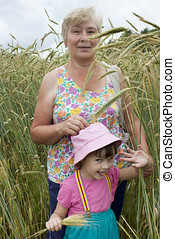 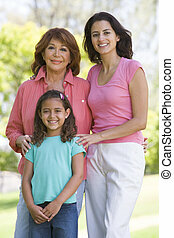 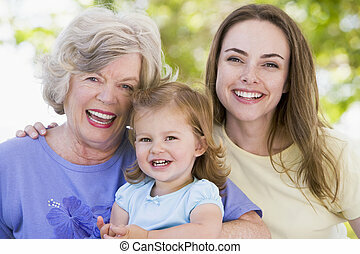 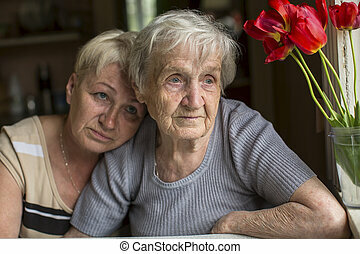 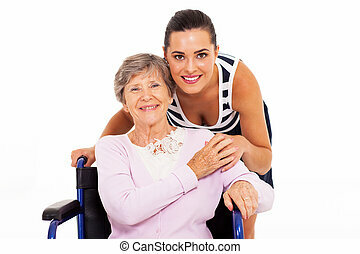 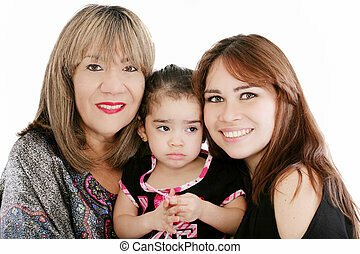 A woman 80 years old with his adult daughter. 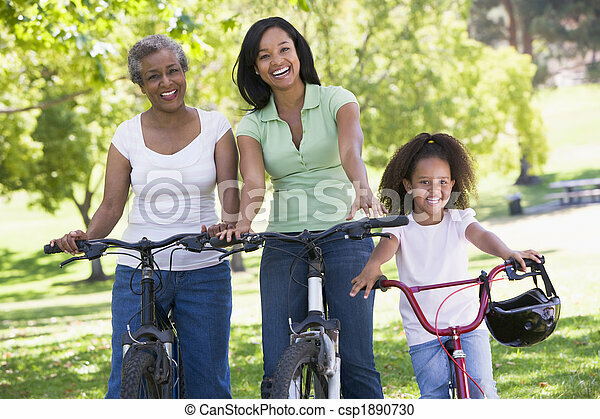 Grandmother mother and granddaughter bike riding.